The Trials of Muhammad Ali has received a major grant of $160,000 from the Ford Foundation, through their Just Films initiative. The funds were sought by director/producer Bill Siegel and producer Rachel Pikelny to aid final production on the documentary, which is scheduled to be Kartemquin's first release of 2013. We are delighted to receive this endorsement from the Ford Foundation, which puts The Trials of Muhammad Ali in the company of some of the most acclaimed documentaries of recent years. However, we still urgently need funding support before any audience beyond film festivals will be able to see The Trials of Muhammad Ali! Due to the extensive archival materials used in the film - many of which have rarely or never before been seen in public - the licensing costs on this film are a significant, yet-to-be-funded portion of our total budget. We are asking for your support in helping us make this important film available; please DONATE to The Trials of Muhammad Ali today. 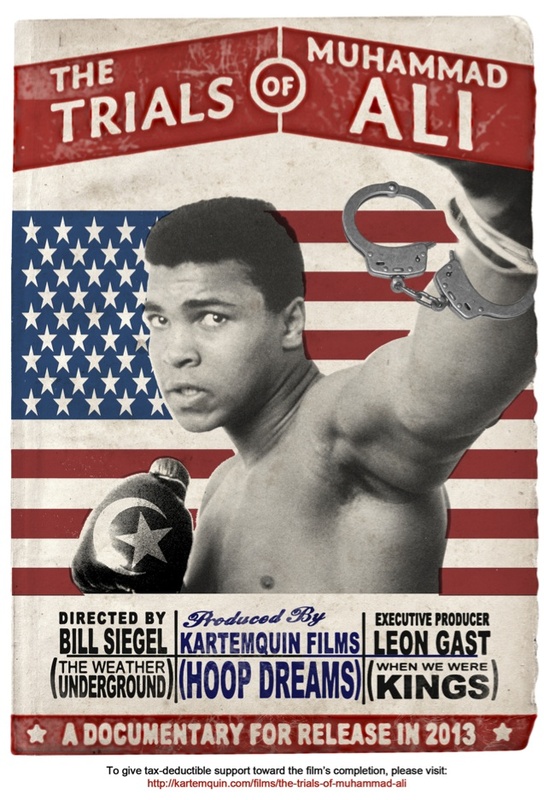 The Trials of Muhammad Ali is a Kartemquin documentary covering Ali’s toughest bout, his battle to overturn the five-year prison sentence he received for refusing US military service during the Vietnam War. It is not a boxing film, but it is a fight film. It traces a formative period in Ali’s life, one that is remarkably unknown to many young people today and tragically neglected by those who remember him as a boxer, but overlook how controversial he was when he first took center stage. Trials takes audiences beyond the ring to delve into the most dramatic years of Ali's life.